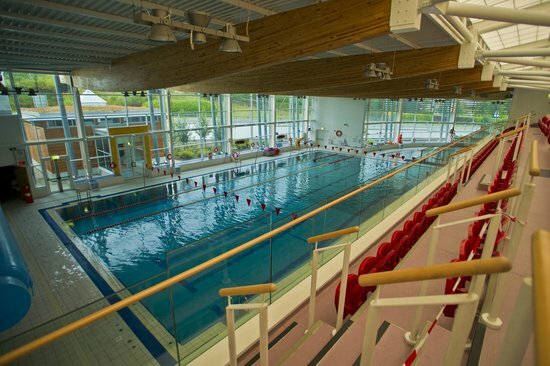 The Watershed is a Kilkenny-based multi-purpose sport and leisure facility (pool, gym, astroturf, football pitch, athletics track, etc.) which is now being used over 600,000 times a year. Though wholly owned by the Local Authorities, The Watershed has a key objective of achieving financial self-sufficiency each year in what is a very competitive space. Added to that commercial imperative is the need to serve a complex and varied client base that includes individual users (pool, gym, etc. ), parents of individual users (pool), teachers of various classes (yoga, martial arts, Pilates, etc. ), an Athletics Club, a Soccer Club, etc. Through a period of rapid growth The Watershed recognised that it needed to seek out and listen to the voices of its disparate users in order to ensure that its strategic plans were informed by the considered opinions of its paying clients. 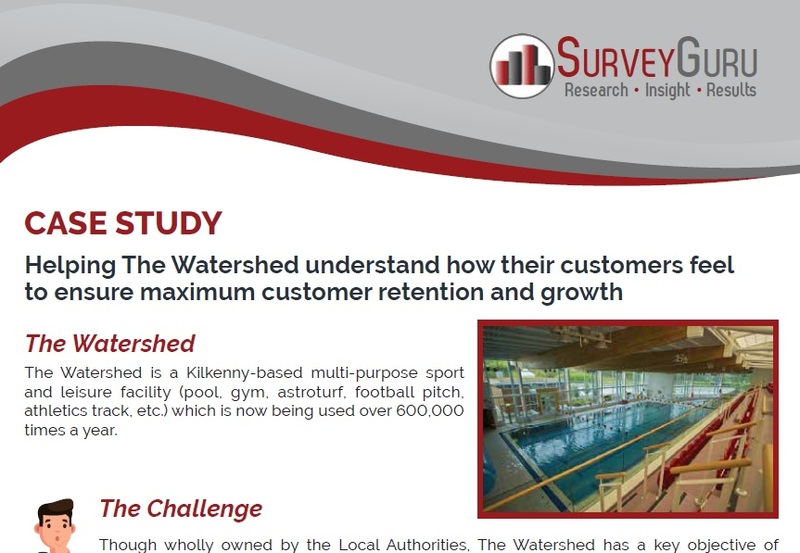 The Watershed decided to carry out a comprehensive assessment of its customers’ satisfaction levels and commissioned Brendan Cullen of SurveyGuru to carry out this project. Though all its users were considered important, they could not all be treated the same – a mother paying for her child to get a swimming lesson has a different perspective to a young adult taking a swimming lesson for themselves. A yoga teacher is very different to a Water Safety organisation. It was very important therefore to deal with different types of customer in a manner that captured their particular perspectives. Following the data collection Brendan then analysed and interpreted the results and then synthesised the results into a succinct list of prioritised recommendations. The Watershed got an objective, comprehensive and accurate view into how their various clients feel. The prioritised recommendations that flowed from that research were factored by The Watershed into its planning and gave The Watershed the confidence that their strategic and tactical plans were reflective of the voice of the customers. “The work undertaken on our behalf by SurveyGuru was both a highly informative and reassuring exercise. Yes it does take courage to openly invite feedback from your customer but wouldn’t one be extremely short-sighted not to do so! Using Brendan Cullen brought great structure to the process, his expertise allowing us to gather the information we needed and to interpret the feedback accurately. Overall, we received a healthy balance of reassuring feedback coupled with many valuable ideas for improvement and change – it was an extremely worthwhile project.” – Dermot Gaynor, Chief Executive, The Watershed, www.thewatershed.ie.